Some things about living still weren’t quite right, though. April for instance, still drove people crazy by not being springtime. And it was in that clammy month that the H-G men took George and Hazel Bergeron’s fourteen year-old son, Harrison, away. Well, doesn’t that sound lovely! It’s taken some time, but we’ll finally be equal–just like everyone wants! Except, my students when we would study this story in class; then equality was almost the last thing they wanted–which is what Vonnegut was trying to point out in the 60’s. Dystopian literature has been dominating bookstore shelves and theater screens in the past decade. While it’s become everyone’s new favorite genre, extreme dysfunctional societies were alive and well throughout the twentieth century especially, and surely before. There were lots of parallels in 20th-century dystopia, but each story was quite different than the others. The worlds and characters were all so different; the perfect and imperfect varying depending on changes of the time. 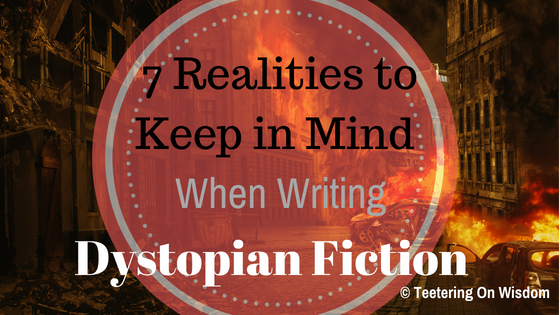 Now, most of the stories–geared toward young adults–read the same; thus, forgetting many of these 8 realities about dystopian literature. I do not represent the source ideas that I link; I merely include them for your further research, as it helped me in mine. The interpretations of each story are also my own, and the sources do not represent my ideas, either. See the full disclosure here to find out more about what I mean. Not all dystopias derive from social malice, some came about from good intentions. Though modern society has taught us that power is corrupt and that’s what brings about dystopias, most traditional stories–real life and not–come from people trying to make society better, but going too far. Like in the story (“Harrison Bergeron”) above: the government is giving everyone exactly what they want–equality. But, the restrictive way they go about it ends up being more of a detriment than a benefit to society. The same goes for those in Fahrenheit 451. Books were eliminated to limit radical thinking and controversy from differing ideas. Instead, it just desensitized us and made us miserable. Not all protagonists make a successful change. While we would like to believe that the protagonist who figures out the problem will now help change the world, that isn’t always the case. Guy Montag (Ray Bradbury’s Fahrenheit 451) doesn’t really change anything by the end. Instead, he runs away from the society and finds a small group who does want to make a change. But, we never really find out if he will help them with that. Keep in mind that understanding a problem doesn’t mean the person will accept it as their responsibility—especially in individualist societies. Stew that over how you will. Not all protagonists want to get involved. The perfect “hero” in a dystopia is ready to accept the challenge once (s)he understands how important it is to make a change. Ideally, those who are capable to help in society, will. Reality? Not really. Most try to avoid it, even if they do have the power and resources. Why? Stress, rejection, grief, preoccupation, protection–all kinds of reasons. Take Max in the Mad Max post-apocalyptic franchise. In every movie, he makes it clear that he wants nothing to do with any of the groups in which he comes in contact. The only reason he ever gets involved is that there is some benefit for him so he can continue on with his solitary life after losing his loved ones. He demonstrates in the movie that he can make a change. Many times, he even helps the groups to do just that. Then, he leaves. Out of sight, out of mind. Oppressed citizens aren’t the only ones seeking change. Because 99% of the world sees itself as oppressed, the characters who step up for change tend to be underdogs who demand a change. However, you don’t have to be held down to want to help others to stand. Think of men in feminist rallies, straight alliances at gay pride parades. Literarily, Claudia from Catherine Fisher’s Incarceron is living the high life, though she is unsatisfied with it. She has no reason to disrupt the status quo, yet, she helps the trapped Finn bring the whole system–that her father runs–down. Not all dystopias are oppressive as much as just selective/restrictive. Ever notice how everyone wants only the best to carry out a duty or responsibility. However, when they aren’t identified as one of those elite, they insist that they are being discriminated against and prevented from being elite? Take politics. It makes sense that only the wiser, educated, experienced, and all those middle-aged qualifications would problem-solve and initiate the right change for the country, right? Except, when that eliminates a majority of the population, and thus, the ideals of majority of the people they represent. Take Lois Lowry’s The Giver. Mothers are chosen designated based on their genes, skills, and potential to produce better kids. Then, the families who are more stable, more compatible, and better equipped to raise children as assigned kids who fit best with the parents. What does this mean: the youth who’ll run our futures will be the best for the job. But, what about those who want a family, but aren’t identified…? Or, what if the best “mom candidate” doesn’t want to be a mother? Dystopia qualifications vary from person to person. …kind of like everything else. Keep in mind that your societal interpretation is merely your own. It can make all the sense in the world why it’s bad. Doesn’t matter; to others, it may be a dream life. Think about everyone who wants to live in the old Western days so they can be cowboys and sheriffs. Everyone has fantasized that life as an awesome dream, right? Except for, y’know, Black people, Native Americans, Chinese immigrants, poor people, farmers, young men and women from poor families, and pretty much anyone who was not affluent. Yeah, for them, total nightmare. If they told their stories, you’ll be reading a dystopia that you never even considered. The same goes for social, cultural, political, environmental, and every other “issue” now. For many, it may not register as a problem–or at least one relevant to them. Remember, out of sight, out of mind. Extreme technology is not needed to ruin a society. In modern eyes, technology is bound to destroy us; we can’t possibly fathom anything else being as dangerous. Technology is changing despite our perception that it will one day take over. A double-edged sword that makes us great and weak all at once. Our dependence on it will tear us down, and almost every dystopia story you read nowadays makes that clear. Maybe our focus on that is exactly what truly makes us so vulnerable. While dystopian futures help open our eyes to change, it may not always be successful in initiating such. Remember, you’re creating a fictional world–no matter how similar to our own. Thus, most readers won’t take responsibility for the implications you identify. All it’ll do is make most readers surmise about what is to come, rather than preventing it. Weird, right? Never forget that the dystopias we perceive to come are only adaptations of the dystopias identified before us. The very life we live and are trying to create are the traumatic worlds Ayn Rand, Ray Bradbury, George Orwell, and Kurt Vonnegut Jr. already predicted. We are what they feared we would be–yet we don’t see it as such. Yet, that doesn’t invalidate the writer’s perspective about it. They’re right in their own understanding, experiences, and abilities. When creating your world, laying out your ideas, posing your solutions, don’t be hurt if it doesn’t start a revolution. They rarely do. Writing in another genre? 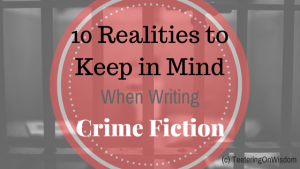 Don’t forget these realities, too! Previous story What Exactly are Writing Communities?